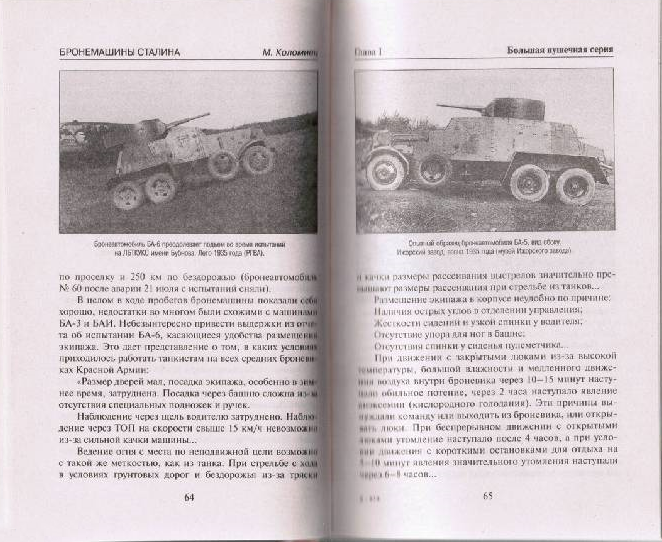 Before the tank became main symbol of military power, the Soviet Union was already a Great Armored cars Country of - from 1927 to 1945 in USSR produced more than 15,000 light and medium armored cars of various types. 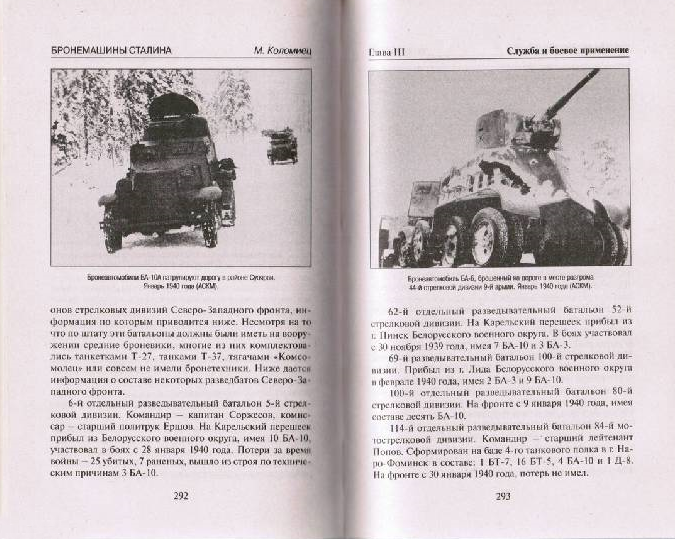 Their "golden age" began in 30th years - Soviet armored cars particularly distinguished in Spain and Khalkhin- where acting is no worse and sometimes better tanks. 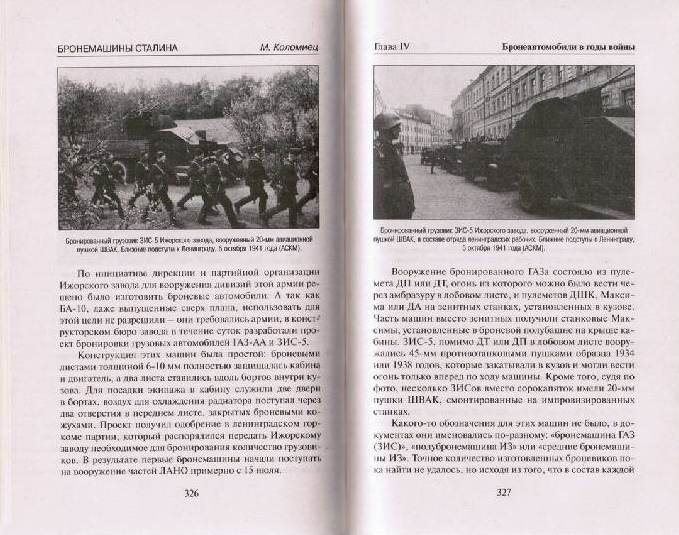 However, the disastrous beginning of the Great Patriotic undermined all previous victories - most of the Red Army's armored cars were lost in the first months of the war, after which virtually all designing works were stopped, and remained in production only lightweight BA-64. 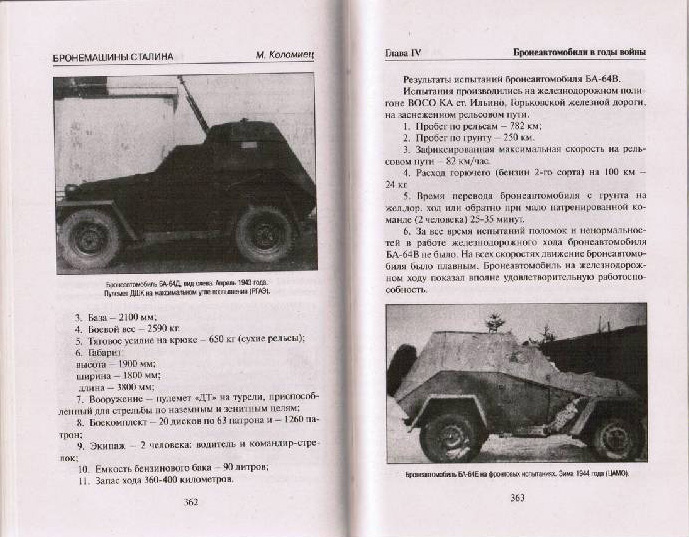 Why is the "golden age" of armored cars were so short-lived? 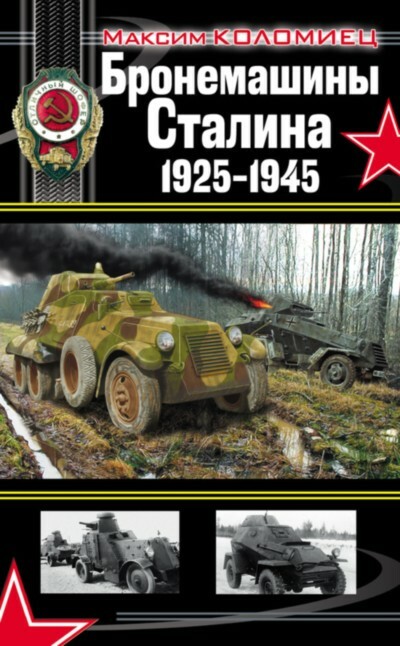 Why after the war, their production in the USSR was finally discontinued, although many armies fighting cars in this class are so far? It should be considered armored "dead end" in the development of armored cars - or rejection of them was a serious mistake? In this book you will find answers to all these questions.